have an easygoing temperament and will adapt well to a new home with children. A dog is a great rainy-day pal or a friend to play with in the sun. By doing a little planning and taking some careful first steps, you and your child will have a special companion for a very long time. Golden Retriever breeders California State has to offer are many but only the selected few in this article are worth your time. In this photo, my daughter Sarah is having a bit of cuddle time with our Peaches. Neither one thought Peaches was getting too big for that! Breeders are an excellent place to start when buying a Golden Retriever puppy. 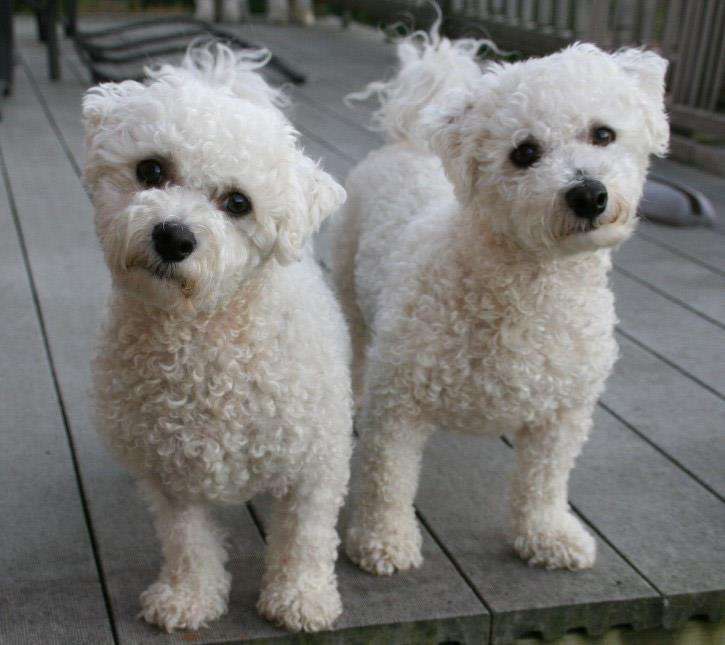 We’ll look at some criteria to consider when looking for a good breeder. 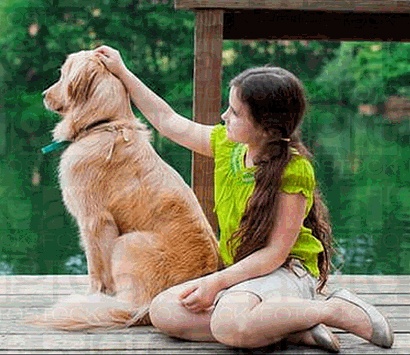 Many adult Goldens are available for adoption from animal shelters and rescue centers. They’re usually there due to circumstances beyond their control, and through no fault of their own. Wherever you choose to get your furry friend, take the time to make sure that you’re a good match. After all, this is a friendship that will last many years. Buying a dog brings responsibilities along with the fun responsibilities to your community and a simple code of etiquette that will help you be considerate of others. If adoption is not an option for your, here are some of the best Golden Retriever breeders California state has to offer. These are the only two you need to look at. 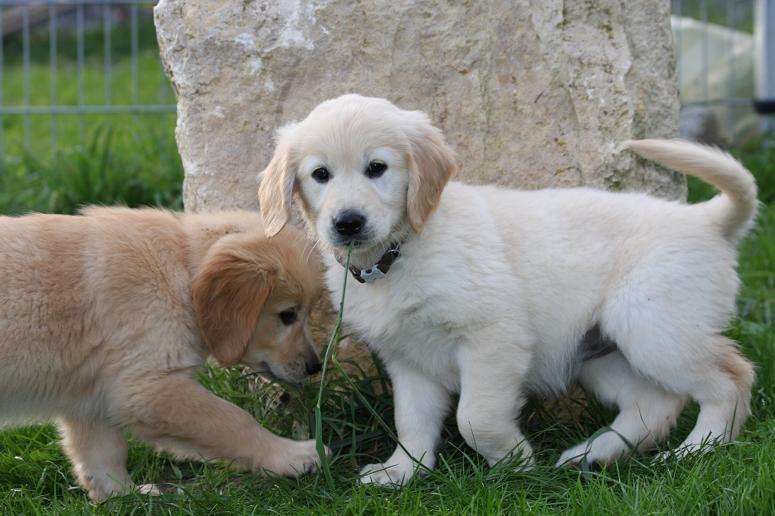 Shadalane Golden Retriever Breeders California – They have some of the top of the line stud dogs and females in the state and along with certified pedigree papers. 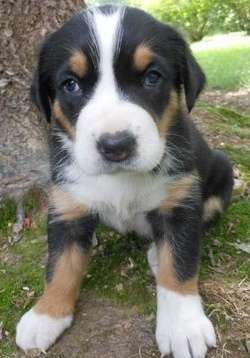 If you are getting a puppy from them, they also have a very good puppy training program called Puppy Training Academy. They will ready your puppy for anything also the crucial step of potty training. These guys are also experts in Golden’s and they also have some of the best looking puppies available with health guarantee. Their studs and females have a CERF clear eye certificate and DNA blood tests done prior to breeding. Are you looking for an unique Golden such as the White coloring? They’ve got some of the best looking Cream colored Golden Retriever puppies in the state that are off European Bloodlines. All puppies will be up to date with shots and comes with A.K.C registration. If you’re planning on buying a Golden Retriever, you must be willing to let the dog become part of the family. Goldens often bond closer to one particular individual, but flourish in the midst of family interaction and activity. We took our Peaches on vacation with us and had a blast! Peaches loved Colorado as much as we did. Whether you’re going for a hike or relaxing on the couch, your furry friend will want to be right there by your side. He’s happy just to be with you, whatever you’re doing. Buying a Golden Retriever is a life-changing decision. From the moment you bring home that ball of fluff, you’ll have a new best friend for many years to come.